VG++ / VG++ Cut corner, shrinkwrap. Very Good. In very good packaging. 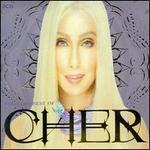 Cher-Very Best of Cher-2cd-by Cher. Fine. In fine packaging. Cher-Very Best of Cher-2cd-by Cher.